Depression is a risk factor for type 2 diabetes, and the drug metformin is a common treatment for diabetes. In a 2016 article in the Journal of Clinical Psychiatry, researcher Chittaranjan Andrade suggests ways of minimizing side effects from metformin. 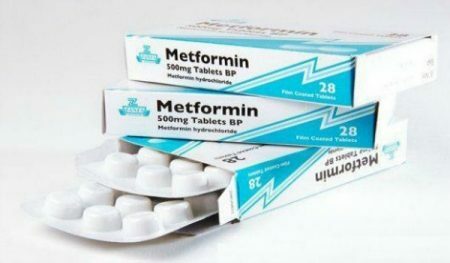 Lactic acidosis, a buildup of lactate in the body that can result in muscle pain, burning, and other symptoms, is a rare side effect of metformin. Avoiding prescribing metformin to people with impaired kidney, liver, or cardiac functioning and other risk factors can prevent lactic acidosis. Vitamin B12 absorption can also be affected by long-term metformin use. Andrade suggests that rather than waiting for a vitamin deficiency to be identified, a proactive approach should be taken. Long-term metformin users could be given an annual intramuscular shot of vitamin B12.